Myhre syndrome (MS) is a connective tissue disorder with multisystem involvement with or without intellectual disability. In most cases SMAD4 mutations are reported. To date, 55 individuals have been molecularly confirmed. Autism has been proposed among associate clinical features of MS but no standardized diagnosis was available in previous cases. We report a case of a 25-year-old man with a pathogenic heterozygous SMAD4 missense mutation affecting residue Arg496 (SMAD4:p.Arg496Cys). Clinical findings are consistent with MS, commorbid with affective disorder and High Functioning Autism Spectrum Disorder confirmed by a standardized assessment procedure. 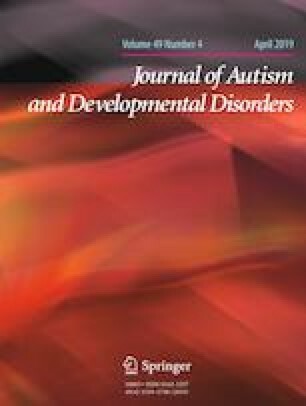 The thorough clinical assessment of cases with syndromes such as MS can extend our knowledge on both the phenotypic characteristics of the syndrome and the genetic basis of autism. We need to acknowledge the patient and his family as well as Dr A. Anastasakis Cardiologist and Dr K. Markoglou Gastroenterologist for their kind contribution to the collection of data. PA conceived of the study, drafted the manuscript, SA conceived of the study, helped to draft the manuscript, PK conceived of the study, drafted the manuscript, FH conceived of the study, helped to draft the manuscript, TE conceived of the study, helped to draft the manuscript and PC conceived of the study, helped to draft the manuscript. Additional informed consent was obtained from the participant for whom identifying information is included in this article.